Girls Gone Forex and Trade Like A Girl Academy proudly recognize the hard work and achievements of the Fall graduating class of Girls Gone Forex University. Addison, TX, December 07, 2018 --(PR.com)-- Trade Like A Girl Academy, the fastest growing online Forex education program, will celebrate it seventh graduating class of Forex traders. 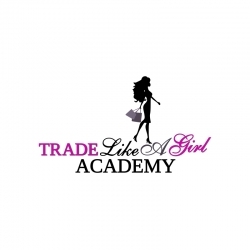 Trade Like A Girl Academy was founded in 2016, by Robyn Mosley-Mancell and Linda Faye White, with the sole purpose of educating and empowering women with the skills and knowledge necessary to participate in the largest financial market in the world. Trade Like A Girl Academy provides a challenging and supportive learning environment that also promotes personal growth and development in its students, alumni and founders. Students of diverse cultures and demographic backgrounds are encouraged to become self-directed investors and develop a wealth mindset. Trade Like A Girl Academy is honored to announce the final graduating class of 2018. Girls Gone Forex, LLC is a woman owned and operated financial education and technology company that specializes in the largest financial market in the world, Forex. The Forex Market has an average daily trading volume of over 5 trillion dollars which is 50 times larger than the New York Stock Exchange. Girls Gone Forex is comprised of three subsidiaries: Trade Like A Girl Foundation, Trade Like A Girl Academy and Invest Like Her. Trade Like A Girl Foundation is registered as a nonprofit corporation in the State of Texas for the purpose of educating and empowering disadvantaged women of all ages, races, backgrounds and socioeconomic status globally with the knowledge, skills, mindset and technology necessary to excel in the financial markets. Trade Like A Girl Academy is the education component that consists of a proprietary curriculum and Forex training program designed to turn a student with zero knowledge of the Forex markets into a disciplined Forex trader, a savvy Forex investor and/or an innovative Forex trading programmer. Invest Like Her provides students additional tools, information and education in alternative investments and finance that can improve their financial literacy, sustainability and status.